Governor Mike Pence is set to launch a state-run media outlet to compete with private news outlets and shape the way that news is reported in Indiana, according to a report in the Indianapolis Star. The taxpayer-funded venture will not be editorially independent from state government. Instead, the news will be written directly by state government communication directors. 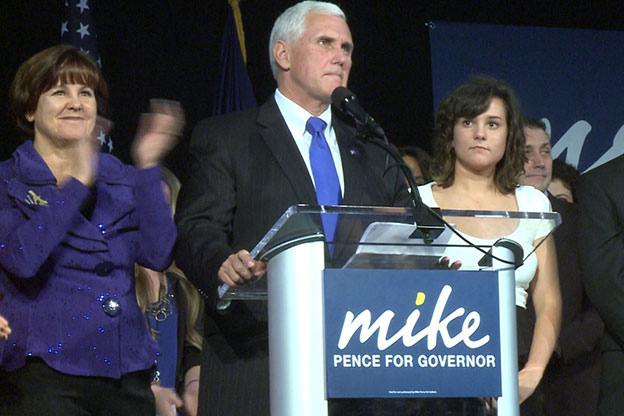 Just IN — as it is being called — “will provide pre-written news stories to Indiana news outlets, as well as sometimes break news about [Governor Mike Pence’s] administration,” according to the Star report. The website will have a governance board made of state agency communication directors and an editorial board comprised of the governor’s communications staff and a former reporter with the Indianapolis Star, Bill McCleery. The funding and editorial make-up of Just IN contrasts significantly from outlets such as NPR and PBS, whose connection to the federal government is a small percentage of funding. PBS receives only about 15 percent of its budget from the federal government while NPR receives 16 percent from local, state and federal governments combined. Individual donors, corporate sponsors and grants account for far more significant funding. NPR and PBS both have independent editorial boards without any oversight from government agencies. Jack Ronald, the publisher of the Portland Commercial Review, called the move a “ludicrous idea”. “The notion of elected officials presenting material that will inevitably have a pro-administration point of view is antithetical to the idea of an independent press,” Ronald added. 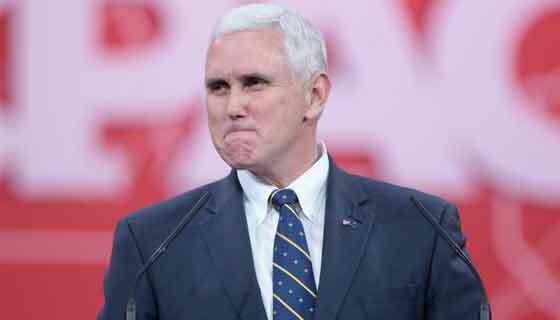 Pence is considering a presidential bid in what is expected to be a crowded Republican presidential primary field. A state-run news website with positive stories about the governor’s administration could boost his profile nationwide. UPDATE: The governor claims that the new website is just a redesign of the state’s press release page. He does not offer an explanation as to why a new press release page would require a governance board, editorial board, or dedicated full-time staffers. Goebbels would be proud. Herr Pence has a long history of living in his own echo chamber. Now, he wants to spend our tax money to share it with us. PLEASE vote him out. We can do better.